Photo Courtesy of Safa Eltaib. Move forward. That’s the sentiment more than 50 student designers conveyed at VCUarts’ annual fashion show, “Momentum.” The event attracted hundreds of VCU faculty, students and community members to Main Street Station’s Train Shed May 10. The runway show consisted of 27 junior designers and 25 senior designers, four of which were featured from VCUarts Qatar. Each designer showed a collection of about three to six outfits, featuring a variety of garment types. “Momentum” was split into showcase categories: dresses, knitwear, menswear, womenswear, senior collections and VCUarts Qatar senior collections. Junior designers presented within the first four showcase categories — seniors showed their collections at the end of the show. Senior designer Paloma Correal presented a collection featuring cream and orange-colored flowing fabrics inspired by her Colombian heritage. Named “Fruta Fresca,” which means ‘fresh fruit” in Spanish, Correal’s collection began with cream-colored garments. As the assembly continued, she incorporated more color. 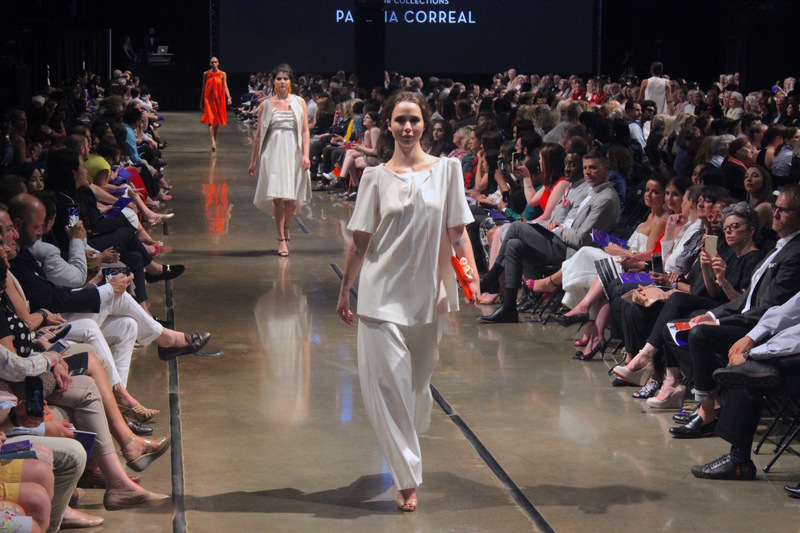 Working with natural-fiber fabrics — including linens, wool and silk imported from Colombia — Correal ended her collection with a bright-orange structured dress. “The last dress represents the woman who is ready to show her colors to the world,” Correal said. Finding inspiration from a similar place, senior designer Karis Lee said her collection is inspired by her mother and Korean ancestry. Her ready-to-wear womenswear line featured silky fabrics. It ended with a deep green midi-length dress, which Lee said embodied her mother’s essence of elegance and simplicity. Both Correal and Lee said they hope to see the fashion world become more sustainable and diverse as they enter the industry. VCU stands currently as the number one public art school in the U.S., according to U.S. News & World Report. Murrow said she expects an event like “Momentum” to help build VCUarts’ credibility and prominence. The event attracted high-profile attendees like Richmond Mayor Levar Stoney and Pres. Michael Rao and included speeches by VCuarts dean Shawn Brixey and department chair of fashion design and merchandising, Patricia Brown. Halfway through the show, Momentum displayed a children’s collection from VCUarts Qatar on TV screens. The video showed children modeling a variety of garments including dresses, coats and knitwear. Murrow said Main Street Station offered VCU fashion students options to display garments more creatively. The show featured a non-traditional runway — models walked down two separate rows to present the clothing. To read more about the senior designers and merchandisers featured in the 2018 Momentum show, visit arts.vcu.edu. 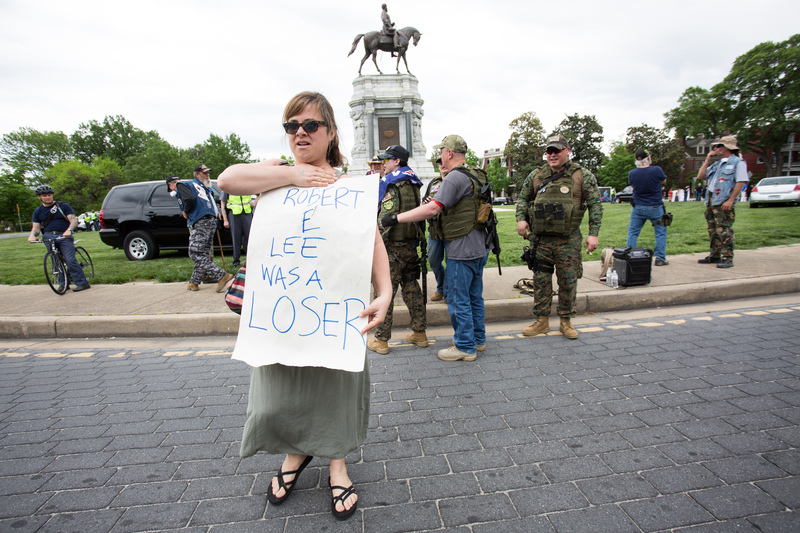 A pro-Confederate group held a rally in Richmond Saturday. They were again outnumbered by protesters. What is momentum in this context? The show’s theme, “Momentum,” is a play on of the trains passing through Main Street Station as well as the students’ work to move fashion forward. With VCUarts ranking among the top art and design schools in the United States, the fashion show attracts attendees from around the world. Many graduates of the fashion program remain in the industry, becoming entrepreneurs or joining established businesses, and much of the faculty is recognized internationally in their respective fields. Interesting post. The show’s theme, “Momentum,” is a play on of the trains passing through Main Street Station as well as the students’ work to move fashion forward.